How can you help when you see an animal being treated cruelly? 1. 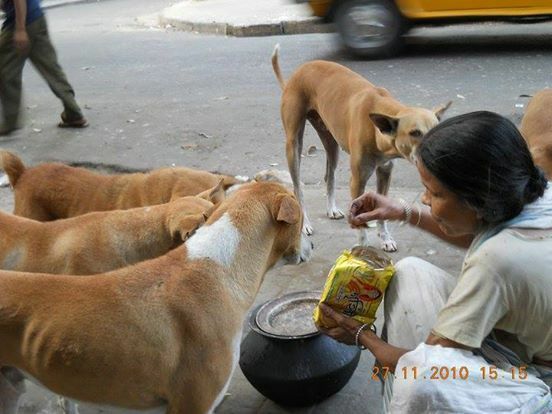 Complain to the local state SPCA (Society for Prevention of Cruelty to Animals)/Animal Welfare Organisations working in your area, though as an entity an NGO can’t enforce the law, but they can put you in touch with an animal activist who deals in filing complaints and bringing attention to such matters with legal or media-based intervention. Importantly, Animal welfare Organisations and Animal hospitals can be contacted to provide relief to the suffering animal. 2. Contact the Police: On a national level, Police are the major enforcement body for the PCA Act 1960. They are obliged to take action against the offender and render help to the suffering animals as per the procedure outlined in the PCA Act when the offence against the animal is amongst those listed in Section 11 or 12 of the PCA Act. Police are even obliged to extend help to the enforcement staff of SPCA as well as ordinary citizens to lodge a complaint/FIR against an incident of animal cruelty. If the Police doesn’t adhere to your complaint, you can also contact the magistrate directly with a written complaint. One can also lodge a complaint under Section 428 and 429 of the Indian Penal Code of 1860 under which, ‘mischief of killing or maiming an animal amounts to an offence’ and the offender can be imprisoned for upto five years or a fine or both. 3. Know the law: for example a donkey should be loaded with only 35 kgs of weight at one time; the permissible loading capacity of a truck is 4 buffaloes or 40 sheep/goats. Anything over and above it is technically illegal under the law. Learn to make a distinction of cognizable and non-cognizable offences outlined in the PCA act 1960. Section 43 of Criminal Procedure Code empowers every citizen the right to perform a ‘citizen’s arrest’ i.e the right to arrest a person who has committed in their presence a ‘cognizable’ offence, an offence for which the offender can be arrested without a warrant. a) Under Section 12 of the PCA Act, 1962, injecting oxytocin injections to cows/milch animals, to improve lactation/milk-giving capacity – which is injurious to health of the animal or permitting such operation to be performed by any other person on the animal he/she ‘owns’ is a cognizable offence. However, this may be one of the most common things that you see used by local legal/illegal dairy owners throughout the country. c) Under Section 11(1)(n) organizing/keeping/using any place for animal fighting/baiting and receiving money on the same. d) Under Section 11(1)(o), promoting or taking part in any shooting match or competition wherein animals are released from captivity for the purpose of shooting/killing. 4. Documentation is the ‘Key’: In your complaint, be as factual and precise of your observation of the animal crime. Give precise dates, times, locations and photographic evidence if any (while remembering to keep a photocopy with yourself). You are also advised to keep a record of all the officers you are interacting with so that if they don’t listen you can proceed to the next level in the hierarchy to demand justice for the animal/s you are fighting for. Getting a vet’s certificate for the animal in consideration would also prove to be good documentary and supporting evidence. 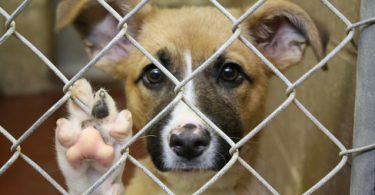 When reporting animal cruelty, we should look out for the following: Physical condition of the animal, telltale signs of animal cruelty, cruelty during their training and practice, housing (size of cages), overcrowding, mode of transportation, sanitation and hygiene. 5. Stand up, speak up against injustice. Never give up, keep up the effort! The Indian Constitution, also, under Article 51 A (g) imposes upon every Indian Citizen a fundamental duty to have compassion for all living creatures. But, from subjecting animals to meaningless experiments in cosmetic-testing laboratories to killing one animal in front of the other in an illegal slaughterhouse, from holding cockfights to boiling monitor lizards alive to extract oil from their bodies, mankind does it all and that too shamelessly. It is for us who are aware and informed to keep our comforts aside momentarily and become the voice for these mute, speechless animals as they wage their lonely hopeless battle against the all powerful ‘man’. What makes cruelty to animals morally unpardonable and unacceptable, over and above human cruelty? Humans can still protest against cruelty meted out to them, they have a voice to raise alarm, hands to hit back. The animals sadly don’t have those options either, so in effect they are defenseless in the face of the cruelty humans mete out to them, be it for their own pleasure, benefit or to fulfill their sadistic desires! Fyodor Dostoevsky once said that, “no animal could ever be as cruel as a man, so artfully, so artistically cruel.” One would agree to it as Advocate Anjali Sharma concludes, “Perhaps humans are the worst animals ever born on this planet”. “When you report cruelty, don’t stop at the that. The courts generally give custody of the animal back to the owner at the first hearing. Lawyers make you go round and round with procedures and often lose sight of the objective altogether. Get involved at every step. Understand the procedure yourself. You do not need an LLB to understand the law. Its YOUR case. Be aggressive. Be proactive. Don’t leave things to the lawyers, prosecution or otherwise. Activists must be there to push things around. Twice or thrice I had registered the complains in help in suffer in Jaipur. But they didn’t do anything for the suffering animals. They r doing only time pass nothing else. They behaved very rudely. M really disappointed with this foundation. Kindly close it if you can’t give your service to animals.